Not really a ice works related question, but why on that map picture does it show two frisbee rides? One where we know one was and one in the HBO commissary? 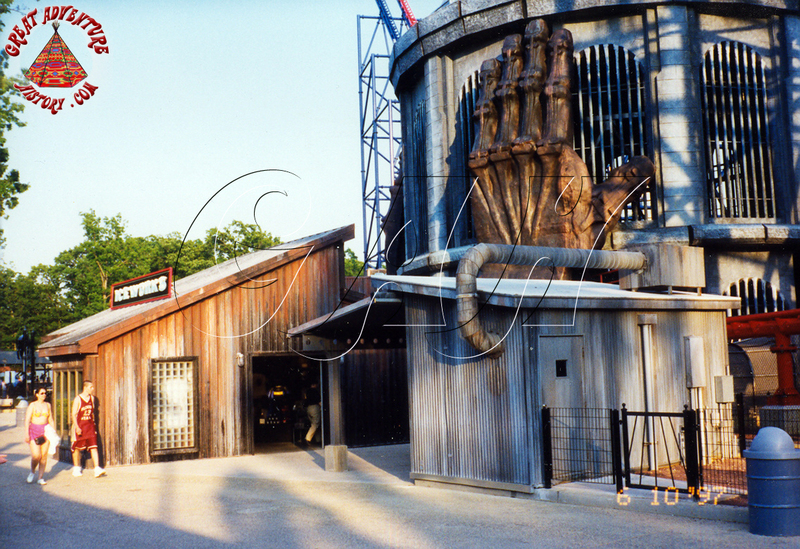 Evolution was originally going to be installed next to Batman The Ride. It would have done better had the manufacturer not gone out of business, had Six Flags properly staffed it (and the maintenance department) along with the other rides added that year, and had it been better designed. Location had little to do with its failure at GA, in fact it probably would have had a worse record being hidden like the Pendulum was. 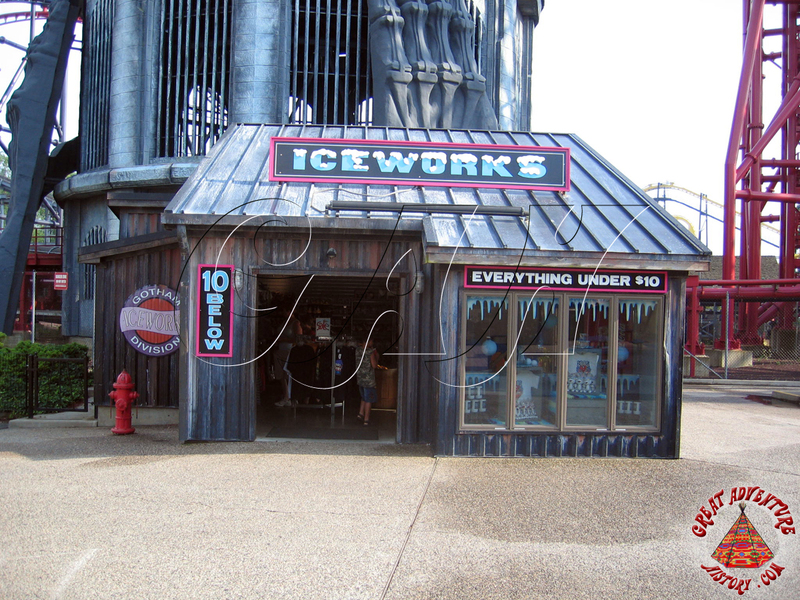 Back to the topic at hand, I always thought the Iceworks shop was a missed opportunity. It either should have been bigger and better or just not built with the merchandise for Chiller instead being carried in other shops. It felt like it was usually filled with non-Chiller stuff even when it first opened (probably because there wasn't a lot of Chiller merchandise). They hoped for another BTR but ended up with a dud of a ride. 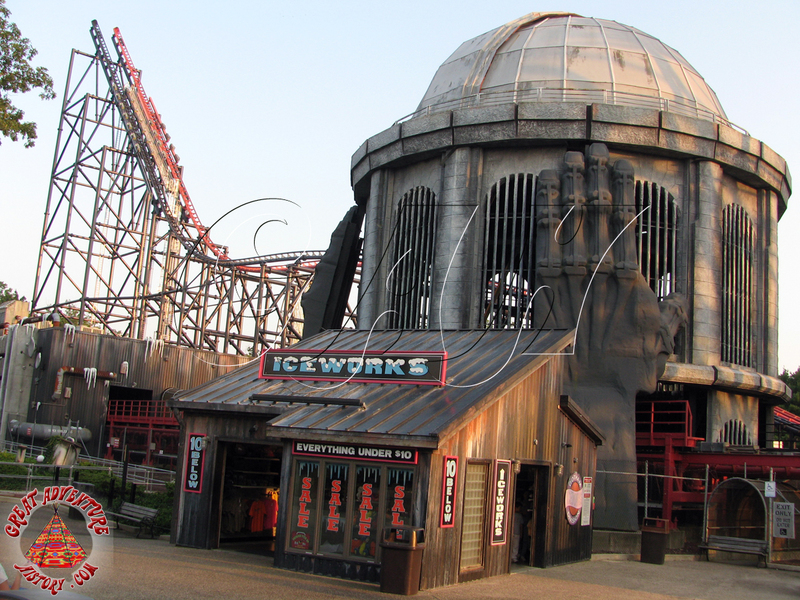 Originally called the Ice Works, the merchandise location which was once located at the exit of the Chiller coaster and most recently used as Blood Bath and Beyond during Fright Fest will become the Munchopolis food stand for 2017. Interests:Track and Field. Fandoms. Theme Parks. I'm interested to see what buildings in the area are spruced up - especially how the observatory is incorporated - considering how abandoned the area has been the past few years. The observatory is hands down a really cool building.